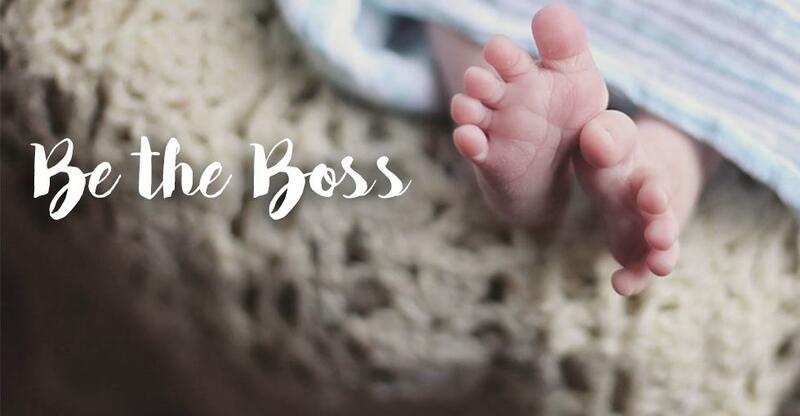 With a newfound passion for sewing and crafting, she decided to open the Etsy store, Becky & Bee, selling her bespoke, high-quality baby linens. So, what is your business? Becky & Bee is a small, online business creating items for babies and toddlers - such as bibs, burp cloths, comforters, patchwork blankets, cushions etc. I’m a PA by trade and had worked in the financial industry for many years before moving out of London to Kent. After having my son in 2016 and going back to work part time in 2017 when he was one year old, I decided to tap into my crafty side and that’s where the idea of sewing came to mind. Was there a pivotal moment for you? When I was shopping for items for my son during my pregnancy, I kept finding myself thinking ‘I wish I could make this myself in this fabric’. I bought myself a sewing machine, signed up to a patchwork course in 2017 and made a blanket for my son. I loved every moment of it, from seeing it all come together, to having the finished product in front of me exactly as I had imagined it. Then, I began making gifts for friends who were expecting and thought to myself, ‘why not sell your items’ - That’s when I looked into Etsy as one of the platforms for my business. Most of my items are bespoke, and Etsy works well for this as you can add variations to your standard listing, so I’ve been able to make a few products and then offer them in a variety of different fabrics too. I came up with the name Becky & Bee because I have called my son my Baby Bee from when he was born (the Bee being B for Birkin). I designed my logo myself and set up an Instagram and Facebook page. I found social media to be so important in getting your brand out there. What's your favourite thing about your business? I love that I’ve been able to take a hobby and make it into something more - and that I can work it around my full-time job and my son. I also love finding the varieties of beautiful fabrics available and seeing the finished products once I’ve made them. I sometimes wish I could keep them for myself! Have you encountered any challenges along the way? I have found sometimes that people may not understand the value of the products I make. I’ve had people question the pricing of my blankets for example. I’ve added a detailed price list and T&C’s to my pages to explain that my prices reflect both the quality and quantity of fabrics I use to create a blanket along with the time taken to make it too. I’m also willing to work to a customer’s budget though. I recently had a lady ask me about a blanket but she only had a £20 budget, so I’ve worked with that to create a smaller security blanket just for her. What does a typical day consist of for you? On my days at home outside of my full-time job, I usually wake-up around 7 am and get myself and my son dressed. After breakfast, we go to one of the local toddler groups for a couple of hours before coming home and playing. After lunch when my son is having his nap, I spend a couple of hours sewing and/or looking into new items I can make for my shop and finding more ways to advertise my shop. Once he is awake, the sewing machine is put away until the evening and we will usually pop to the post office to post out any orders I have, and then head to soft play so he can have a good run around before his dinner. Most evenings, I spend that time sewing again. I’m currently working on a patchwork blanket for a lovely gentleman whose wife is expecting their fourth child in Spring! The fact that I get to take a hobby and make items for other people. And the reactions I get from people who have bought off me. It’s so lovely receiving positive feedback. I find sewing really therapeutic too, I could very easily spend a whole day at my machine if I had the time! That everything takes time and you can’t expect it to take off in the first few months. Through word of mouth and social media, more people are starting to come to me. I’ve learnt to be patient with it, and I’ve also learnt that if you want to make it a success, you have to be willing and able to put the work into it. What advice would you give to other small businesses? Go for it! If it’s something you can do from home and fit in around your life, then absolutely give it a go. And someone trying to get into your industry? Only once your business takes off you should look into buying in bulk. Don’t undersell yourself too, at the end of the day you are a business and need to make a profit. People who see the value of your product will be willing to pay the money for it. My son, I want him to grow up knowing he can be whatever he wants to be! I hope to teach him to sew when he’s old enough, it’s a very female dominated industry so it would be great to see more men enjoying crafting and sewing. With a focus on conscious consumerism and working with vulnerable and homeless people, Daisy and Ozric set up their own ethical brand. As Christmas creeps closer, we look at one of the best businesses to run during the festive season.